We approach every client engagement as a partnership which, to succeed, requires that we have a deep knowledge of our client's business. Our services focus on our clients' most critical issues and opportunities; strategy, marketing, organization, operation, across many industries. We bring functional expertise to create and deliver the essential advantage by building capabilities and successfully navigating through critical junctures of our clients’ business. We want to help our clients to create a new commercial network, manage the market they already have, open a new market by doing the investment, and find the right partner for their needs. M.C. Square also wants to help our clients to achieve a smooth transition when setting up the commercial networks whilst ensuring current ones are managed effectively and are not disrupted. With our experience, we can source a right business to the partners which not only provide the service you want but also share your company’s vision. We undertake a preliminary analysis to understand the possibilities of your products in the market. Identification of the growth potential and a presentation of real time market data in your segment. Recognition of the best partners in the market to reach predetermined goals both present and future. 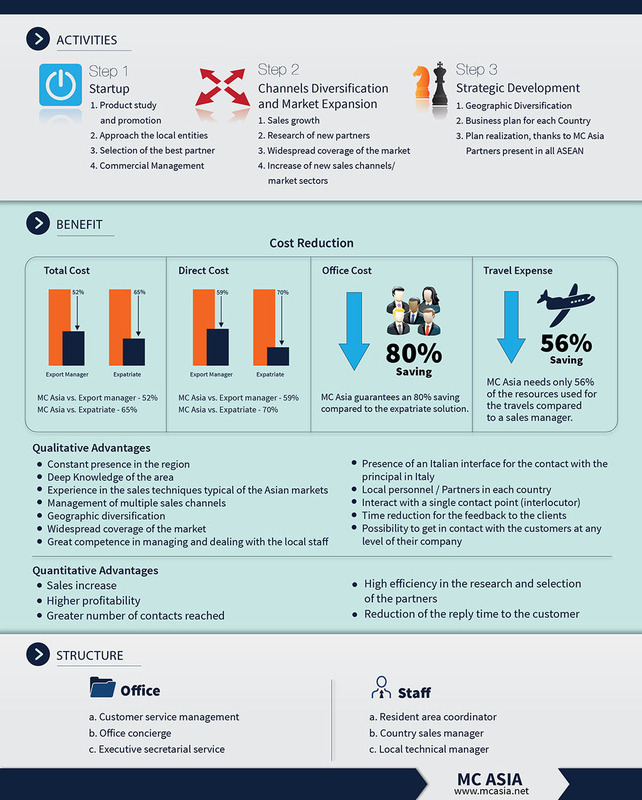 Realisation of maximum potential sales profitability, account penetration and market growth within the South East Asian area for different market segments by successfully selling your organisations products. We can also contact and secure new business on behalf of our clients. 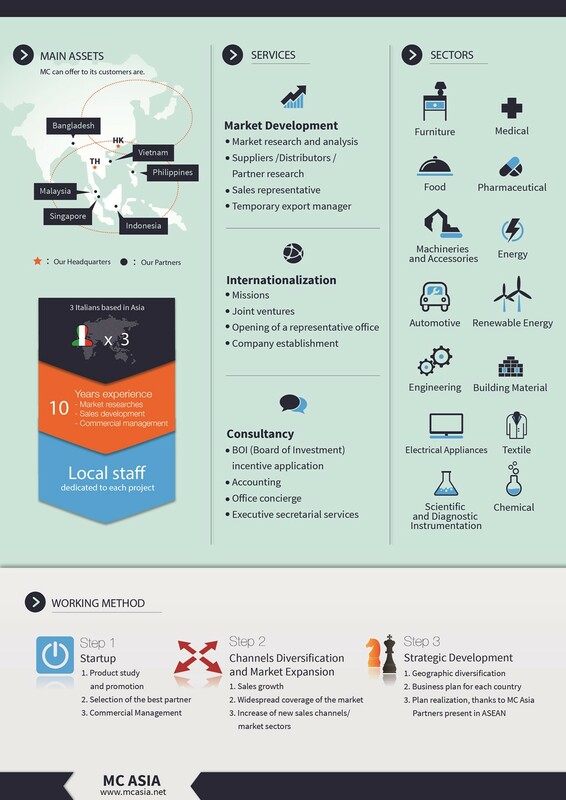 With local market knowledge our team can help implement the phases of Start up, Channel Diversification, Market expansion and Strategic Development of a product or service within a defined time period. We provide or can source a selection of companies and organizations for Back to Back meetings in various sectors. We conduct research and evaluation of potential partners and management of all levels to suit your business needs. 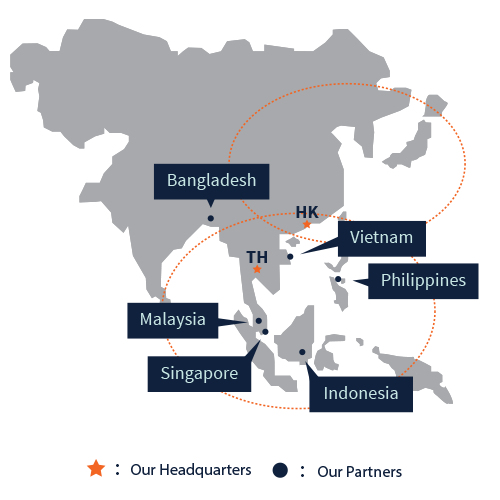 Our team will support your business during all of the phases necessary to open an office in your choice of country within the ASEAN region. A full company set up is available ensuring that you meet the correct investment levels for your industry, are fully compliant with local law, and are aware of any business incentives that a particular country or region is offering. Accounting and book keeping services that meets local requirements and the management of all other related matters. This includes reception management focused on understanding local cultures and business practices. Also training or providing staff for meet and greets when networking. We can offer sourcing and managing meeting rooms, switchboard services and providing corporate help desks. These will assist businesses with the overflow of word processing, desktop publishing, data entry, and various other administrative responsibilities.